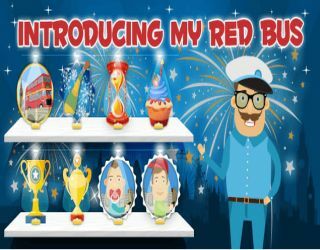 Redbus Bingo’s Revamp | Win a share of £1 million! Lord Bingo News Bingo Promotions Redbus Bingo’s Revamp! Red Bus Bingo has been making headlines recently for its fresh revamp for 2015 – so we jumped aboard to see what the fuss was about! We were more than impressed with its fresh design, branded with lashings of London scenery and key landmarks like the London eye and Big Ben! My Red Bus Loyalty Scheme is like your very own VIP bus pass to big bingo bonuses, game bonuses, free bingo tickets and free spins. You can take part in personal challenges to climb the level ranks and collect rich rewards and virtual trophies. To get involved in the challenges, you'll have to deposit money into your account and play to win on selected bingo or slot games. The scheme rewards you for how many challenges you compete in – so the more you play, the more achievements you can rack up, plus bonus prizes of up to £100! You can also head over to the Trophies section to complete an extra special set of tasks to unlock even more free chips, loyalty points and big bonuses. Make sure you hop onto the the Big Ben Bonanza bus tour every Friday at 9.30pm. For as little as 1p a ticket you could cruise to the sliding jackpot-blasting £1 Million prize! You can also take the B route to the guaranteed £1K jackpot, so make sure you don't miss your stop! Get caught up in the manic mania every Monday at 8pm and make sure you buy your ticket to the Monday Mania cash giveaway. For just 5p, you can play the 5 line bingo game to fill up your account with a share of the £150 cash prize. Dive feet first into the Rush Hour and play super cool turbo games each and every day in the 90 Ball Bingo Coin Street room & 90 Ball Bingo Bus Depot rooms! You can check the timetable for the times, but they are usually every hour from 3 to 10pm, with £30 guaranteed jackpots up for grabs. You can also beat the rest to be the first player to score the Clock pattern! Red Bus is another brand to jump aboard the £200,000 Jumbo Jackpot shared windfall! To dive into the action, simply log in on 25th September from 8pm and buy tickets to win your share! You can win the big juicy £100,000 prize, and the other and £100,000 will be shared with every player. Every ticket counts, as every player that buys a ticket will be guaranteed a win! So you better jump aboard the Red Bus and make sure your down to ride to big winnings!